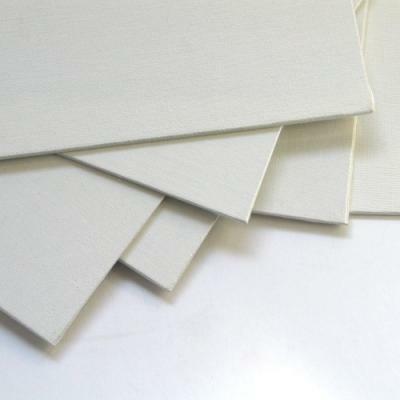 These superior canvas boards feature canvas laminated onto high quality boards of excellent stability. Take advantage of our even cheaper price when you buy 5 or more canvas boards of the same size. Prices will be reduced when you add 5 or more canvas boards of the same size to your shopping cart. Each canvas board is approximately 4mm thick. Save about 9% on the Loxley canvas boards when you buy 5 or more of the same size. Click on the Qty box to see the 5+ price. Buy 5 or more and get them for just £1.09 each! Buy 5 or more and get them for just £1.37 each! Buy 5 or more and get them for just £1.32 each! Buy 5 or more and get them for just £1.58 each! Buy 5 or more and get them for just £2.77 each! Buy 5 or more and get them for just £1.93 each! Buy 5 or more and get them for just £2.08 each! Buy 5 or more and get them for just £2.27 each! Buy 5 or more and get them for just £2.98 each! Buy 5 or more and get them for just £3.38 each! Buy 5 or more and get them for just £3.76 each! Buy 5 or more and get them for just £3.97 each! Buy 5 or more and get them for just £4.91 each! Buy 5 or more and get them for just £6.24 each! Buy 5 or more and get them for just £4.73 each! Buy 5 or more and get them for just £6.78 each! Buy 5 or more and get them for just £7.92 each! Buy 5 or more and get them for just £8.21 each! Buy 5 or more and get them for just £10.04 each! Buy 5 or more and get them for just £2.81 each! Buy 5 or more and get them for just £1.81 each! The best canvas boards at the price. I bought some of these board's because of the great reviews, and I certainly have not been disappointed, a lovely smooth surface and great for more detailed work.